Certified Mercedes-Benz models represent the cream of the used car crop. Each one needs to have less than a certain number of miles on the odometer and be under a certain age to even qualify for consideration, then they need to pass a rigorous multi-point inspection to ensure complete adherence to Mercedes-Benz standards. For those seeking a step up in dependability and luxury, certified vehicles feel tailor-made. 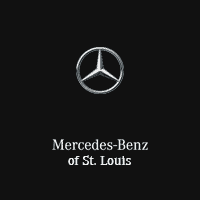 Why Shop Mercedes-Benz Certified Vehicles in St. Louis? Every certified Mercedes-Benz is covered by the remaining portion of its New Vehicle Limited Warranty. If that coverage is up, the CPO Limited Warranty covers you for another 12 months with unlimited miles. Coverage is supported by over 300 authorized dealers nationwide, and you’ll receive the peace of mind that comes with 24/7 Personal Assistance. If you’re ever stuck on the highway between Clayton and Ladue, you’ll be taken care of. Drivers from Frontenac and beyond visit our St. Louis showroom to check out luxury certified pre-owned vehicles. Whether you want to find out about pre-owned specials or check out available accessories, feel free to contact us today.